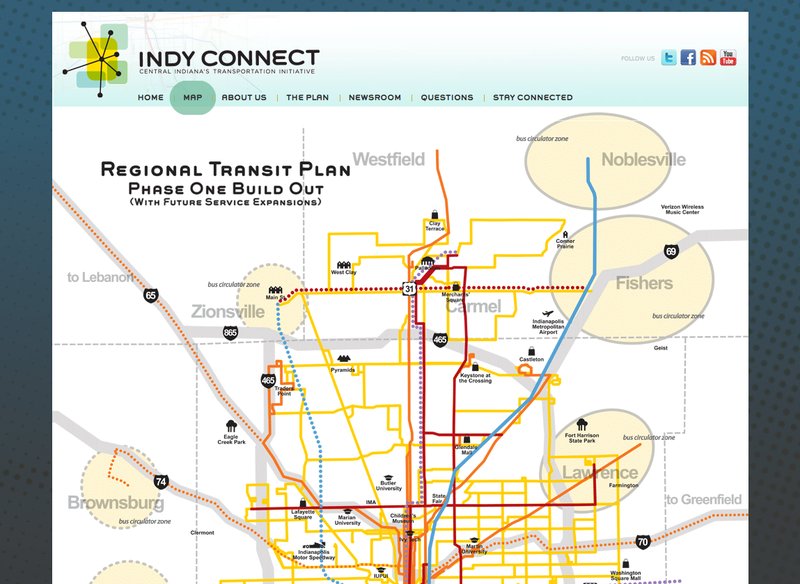 We launched a website for Indy Connect today, and it can be viewed at http://www.indyconnect.org/. TBH Creative worked with Indy Connect this December to help build their new website. Phase 1 of this project was completed very quickly and included recoding for up-to-date markup (removing a lot of tables, image maps and OLD coding techniques that made maintenance very difficult) and applying with our Content Management System software for easy future changes and additions. In the old static version of their website, changes had to be made on every page of the website and all text titles were graphics. We added font replace technology to eliminate the need for so many graphics. We did not make any major design changes during this integration, although we did expand the page to remove the outdated scrollbars that restricted the content previously. We also updated the site architecture in a few logical places and for future mini-sites. We will continue to work with Indy Connect over the next few months for additional upgrades of the website. Indy Connect's homepage. View the site. 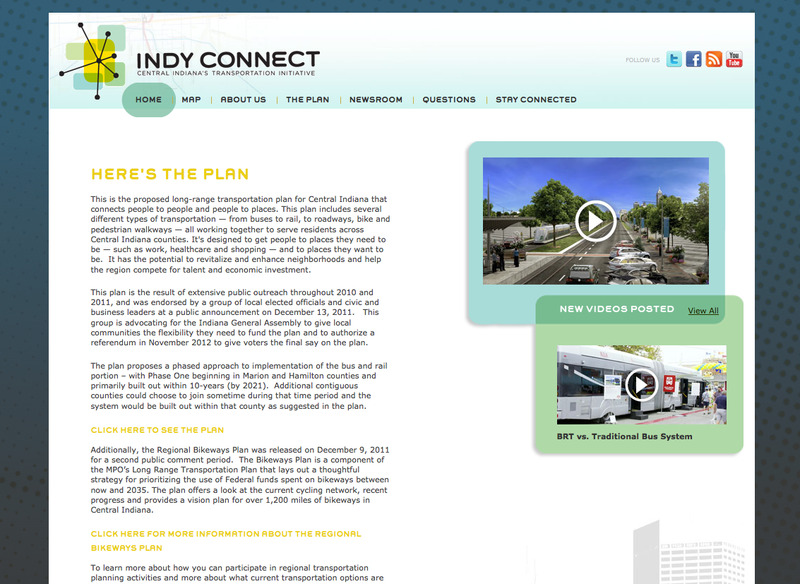 An interior page from Indy Connect's new website. View the site. Indy Connect, Central Indiana's Transportation Initiative, is a partnership of the Indianapolis Metropolitan Planning Organization (MPO), Central Indiana Regional Transportation Authority (CIRTA), and IndyGo that is dedicated to providing Central Indiana residents with transportation options in support of the future development of our region. Does your website need a redesign or fresh ideas for more interest? Schedule a web consultation and let TBH Creative propose a few ideas. We specialize in web design, content management systems, and more. If you simply need an easier way to manage your content and make updates, allow us to do a simple Content Management System integration project like we did for Indy Connect.